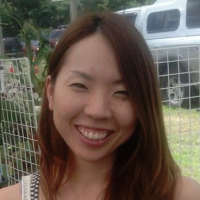 Satomi KasaharaOur guest speaker this month is Satomi Kasahara of Seed Engei. Her topic is Neofinetia falcata, an orchid native to Japan. She will discuss the history, culture and special methods that are used to judge this unique orchid. The Japanese have been cultivating Neofinetia falcata (now officially named Vanda falcata) for over 400 years. In Japan, it is called Fūki-ran (富貴蘭), which means the orchid of the rich and noble people, because many years ago, only the rich and royalty could own them. Satomi’s father, Shigeru, started Seed Engei 35 years ago in Shiuzuoka, Japan. They specialize in growing Neofinetia falcata as well as other Japanese orchids. Satomi grew up around Neofinetia falcata and interacted with some of the best growers in Japan. She started working for her father in 2006. After a visit to Santa Barbara, he declared that the U.S. would be the perfect place to grow Neofinetia falcata. After that, Satomi started coming to orchid shows in California to expand the business. She is the founder of the Fūkiran Society of America, created to promote Fūkiran growing in the United States, Canada and other parts the world. The Fūkiran Society of America is an offshoot of the Japan Fūkiran Society, which is responsible for registering Neofinetia falcata varieties. There are over 250 registered varieties, but if you add unregistered varieties to that, the total is 1000. Every year, Satomi organizes a Neofinetia falcata judging event in Santa Barbara.